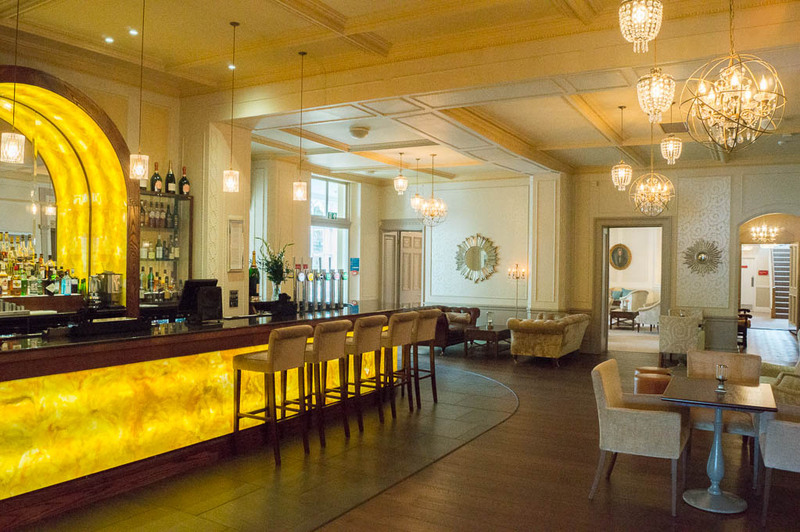 The newly rebranded Laura Ashley The Belsfield Hotel, was first built as a private house for the Baroness von Sternberg in the 19th century. The Belsfield is now operated by Corus Hotels, and is only the second Laura Ashley-branded hotel, the other being The Manor in Elstree. I’ve been meaning to visit for some time now, thinking I’d stop by for a coffee. But as is the way with these things, there was always something else I needed to do, and I didn’t get round to it. It was good fortune then that I went along to a business breakfast meeting, and that as a bonus, we were given a tour of the building. 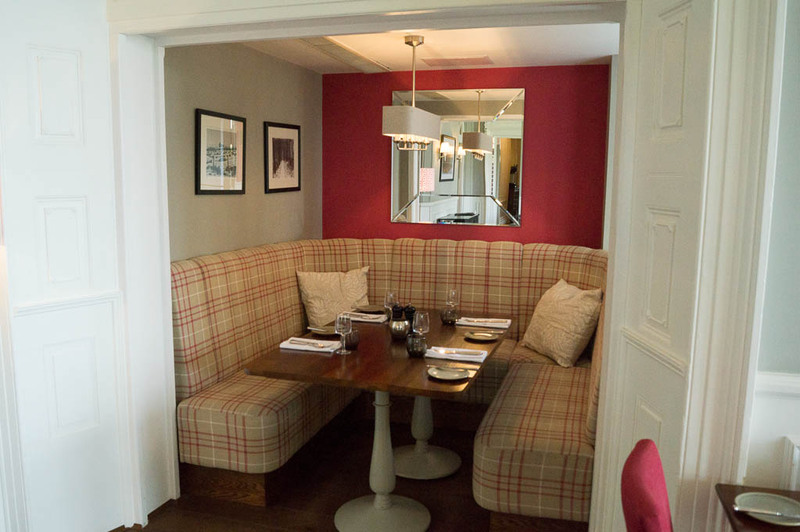 The hotel’s interior was designed by Laura Ashley’s head designer Kay Cullen, and was created entirely using Laura Ashley decor. The work started in October 2013, and was largely completed by July of the following year, at a cost of over £3.5 million. 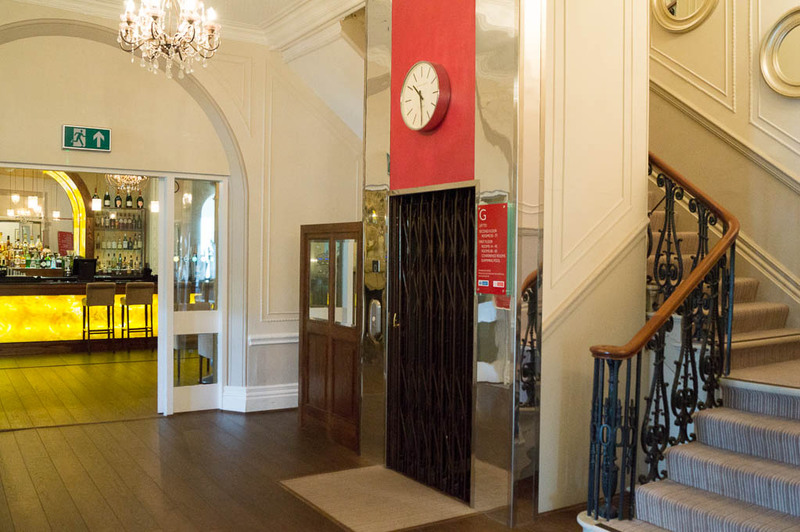 The new glass reception gives a modern airy feel on your arrival to the hotel, and as someone else also commented, the whole building has a lovely atmosphere. We had a nosey inside some of the rooms which, as you would expect, are beautifully fitted out and have luxurious modern en-suite bathrooms too. The decor throughout is warm, clean and fresh, showing the many trademark Laura Ashley designs on wallpapers and fabrics at their best. The lift, which became surprisingly popular when I came to photograph it! The wallpapers used throughout the corridors are very appealing to the eye, and apparently guests are always asking how they can get hold of a particular item or pattern that they’ve spotted somewhere in the hotel. The view from the front is both beautiful and what I would describe as ‘alive’. 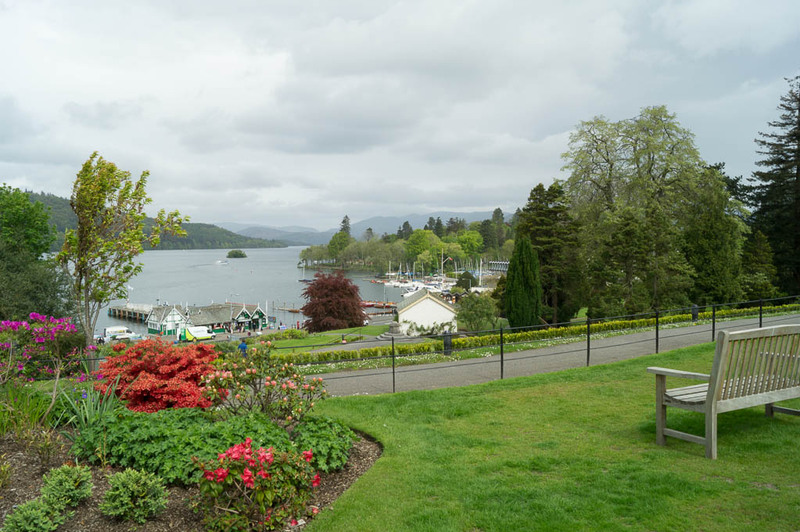 The hotel looks out over Windermere and also takes in the steamers as they pick up passengers and set off on cruises around the lake. 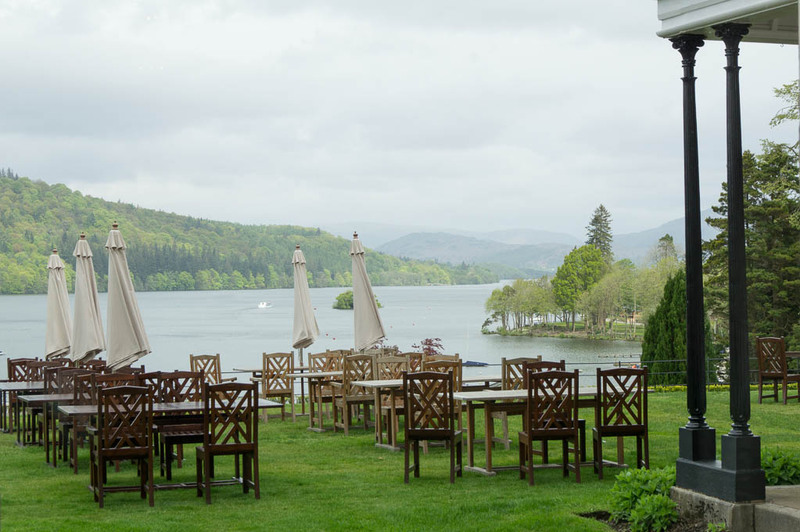 There are two restaurants, one for breakfast and fine evening dining, and the second, the brasserie, which serves a lighter, less formal menu throughout the day. As someone who cannot eat potato, I could not have been more excited than when I spotted sweet potato fries amongst the choices – something that not many restaurants in the Lake District yet serve. There is also seating outside for when we get those warmer days! Eating outside in less blustery weather! The Belsfield’s most famous owner was the industrialist Henry Schneider, who had speculated in iron in the Furness area, and began using the house as his country residence in 1869. Apparently, part of his early morning commute would be taken on his steam boat the Esperance (as far as Newby Bridge), and his staff and butlers would carry the dishes down the lawn for his English Breakfast! 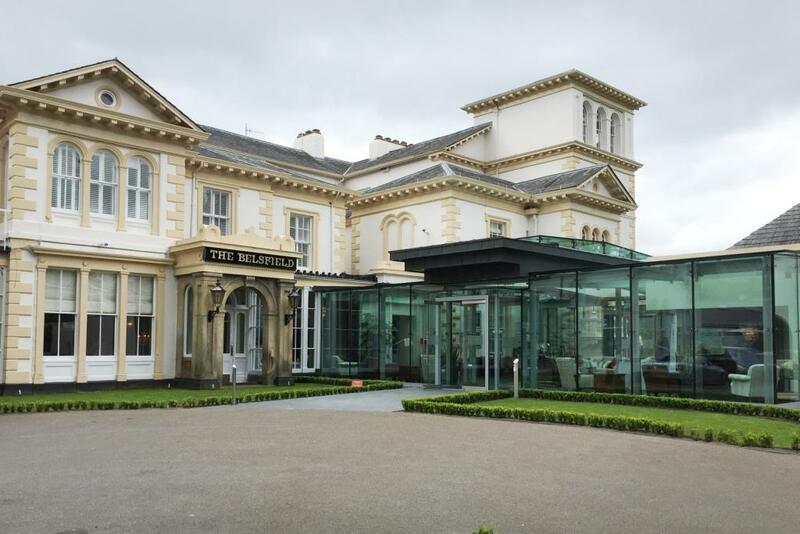 The Belsfield became a hotel in 1892, and was requisitioned during World War II as a training centre for WRAF officers. The hotel has further plans for the future, including the development of its spa and leisure facilities. The brasserie is certainly somewhere I’ll be keeping in mind for a celebratory meal at some point – and if I visit, I’ll let you know what it’s like in a future blog post. 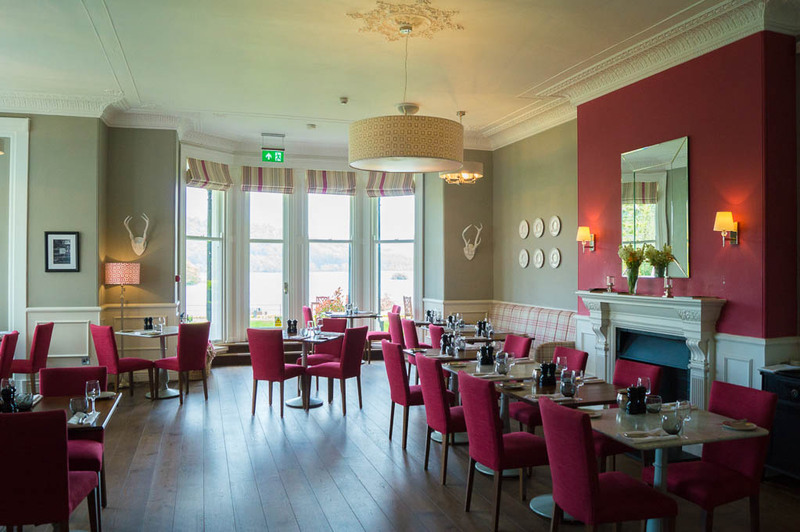 Have you stayed or eaten at Laura Ashley The Belsfield? Let us know what you thought by leaving a comment below (commenting is really easy and doesn’t require sign-up). I look forward to hearing from you. 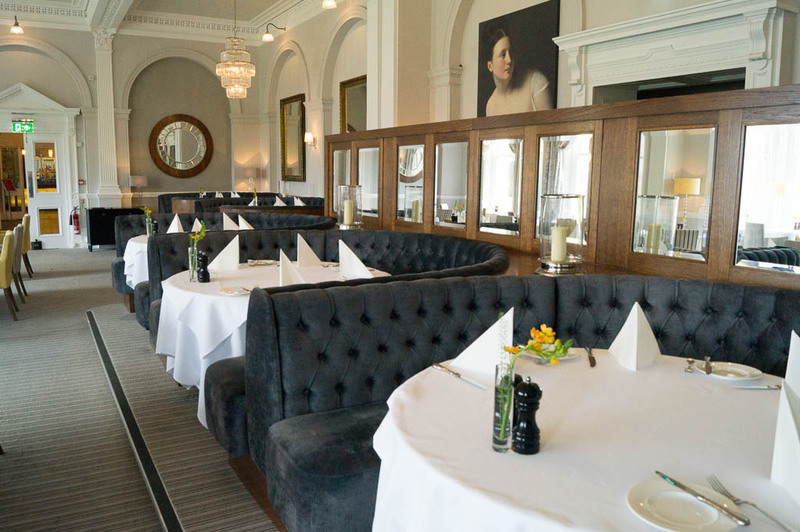 I did recently go back to the Laura Ashley Belsfield’s brasserie for an evening meal. It’s a good place to go on a beautiful sunny evening, as you can see down the lake and lots of people were enjoying the view by sitting outside on the terrace. I thoroughly enjoyed the main course and, of course, had to try out the sweet potato fries! If you can get hold of a copy, there’s an excellent book that goes into some detail about her life and The Belsfield – ‘The Baroness of Belsfield by Windermere’ by Ian Jones.